Is Samsung planning on equipping the Galaxy S9 with a fingerprint sensor integrated in the display itself? A newly found patent shows us more. Samsung will launch its new Galaxy S9 series in just a few months. There has been speculation about the fingerprint sensor of Samsung’s upcoming flagship device for a long time. With the introduction of the Galaxy S8 and the full-screen display, the fingerprint sensor has been moved to the back. To the displeasure of some of the users. Samsung may want to change this in its Galaxy S9 and we are starting to get an idea how this might look like. Samsung filed a patent with WIPO (World International Property Organization) showing a completely redesigned fingerprint sensor. The sensor will be integrated in the display, as many of us have hoped for. The fingerprint sensor will be able to detect a fingerprint on at least a portion of the display, as the text describes. Sketches show us pressing points across the entire display, to activate the fingerprint sensor. The sensor will be activated at a specific level of pressure. The illustration below shows the different layers of the display. It will contain a pressure sensor, a display panel, a touch sensor, a fingerprint sensor and on top a cover glass. 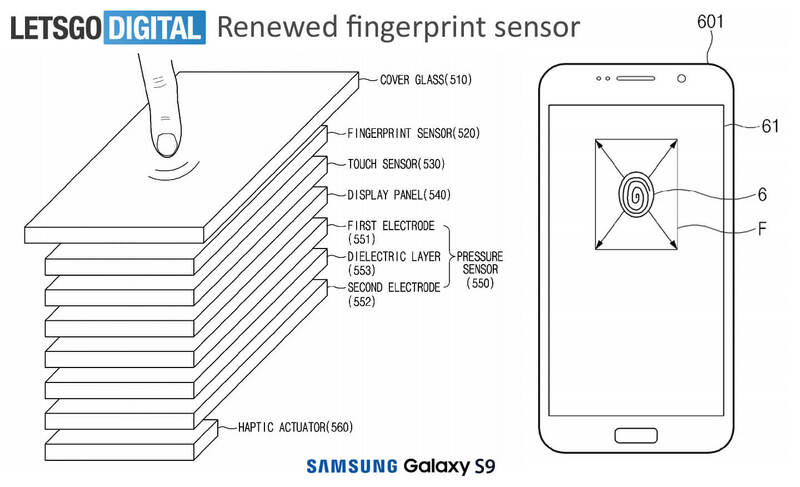 Besides unlocking the smartphone, Samsung is likely to couple some more features to its fingerprint sensor. For example, users can secure certain photos in the Gallery. Without authorization the phone will only show the non-locked photos. With finger print authorization you can see your full photo collection. The same function will also work for the chat app (by securing certain messages and or contacts) and it can be used for online banking. Although the patent was only published last week, it was submitted to WIPO in April 2017. The original Korean patent was filed even a year earlier, indicating that Samsung has had quite a lot of time to actually use this technique in its next flagship smartphone. We are therefore asking ourselves; are we seeing here the new fingerprint sensor for the Samsung Galaxy S9 series? If we won’t see this innovative technology in the Galaxy S9, it will probably appear in the Galaxy Note 9 or the Galaxy S10. But the Koreans do have reason to put on some speed. The very competing iPhone X sells above all expectations. And the Samsung Galaxy S9 does need something new to stand out. When the ‘problem’ with the fingerprint sensor can be solved this can certainly boost sales figures. Moreover, Samsung seems to be the first smartphone manufacturer being able to integrate the fingerprint sensor in the screen itself. Making it a worthy alternative for the advanced face recognition feature of the Apple iPhone X. 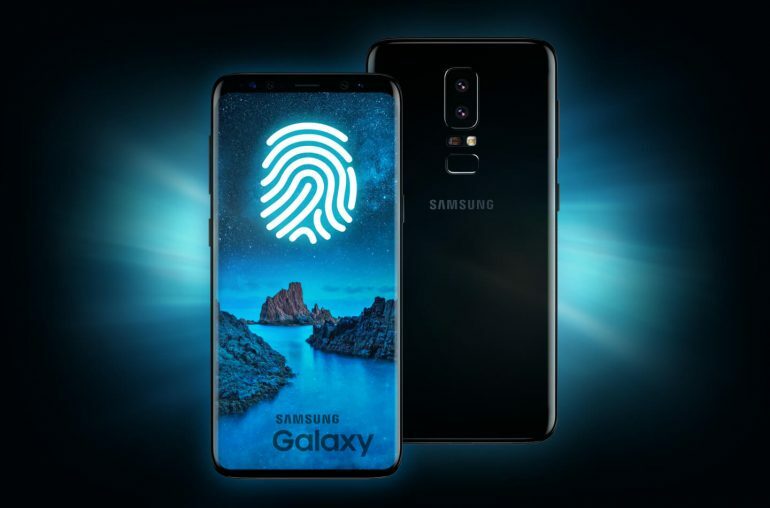 By adding extra biometric identification functionalities, the Koreans will once again show innovation with their famous Galaxy S-series, which are being considered to be one of the best smartphones in the world for many years already.